With a vision to introduce a programme designed for the overall development of physical, cognitive and social skills of pre-school and primary school children, SportyBeans was conceptualised. Karan Sareen, Director, SportyBeans in an interview shares the expansion plans of the brand. Neha Gohil (NG): When, why and how SportyBeans came into existence? What inspired you to venture into the child skill development industry through sports based programmes? 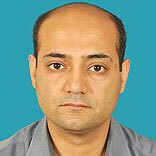 Karan Sareen (KS): SportyBeans was conceptualised and started in the year 2009. The idea behind the program was to fill the gap where there is no program for children to introduce them to sports before the age of 7-8 years. We have developed a program which would enable children between the age group of 2.5 to 8 to be introduced to a number of different sports. Currently, our program offers eight ball sports - Soccer, basketball, baseball, tennis, golf, hockey, cricket and volleyball. With the pre-school industry quickly reaching a saturation point, we decided to pioneer a whole new segment of child development - the Pre-sport segment. NG: What is the USP of the brand? What kind of tie-ups your company does with pre-schools and primary school? KS: The USP of our program, apart from the fact that it is the only one of its kind in India, is that we have specially sourced child size and child safe equipment for all the sports we offer. Our curriculum is developed with extensive research and with inputs from sportspersons, child development specialist and fitness experts so as to ensure it being age appropriate skill development for the child. SportyBeans has a franchise option for pre-school owners wherein they can run the programme in their existing premises (subject to availability of requisite space). This would not only give them an additional revenue source out of unused space, but would also give them a differentiation from other schools. NG: Why do you want your business to be strengthened through franchising model? What type of training and business support you will provide to the franchisees and their staff members? KS: Being a business that caters to very young children, it is important that the business owner/partner take an active role in the franchise centre so as to ensure safety to the child and quality of the program being maintained to the highest standards. This is why SportyBeans decided to go for the franchise route as it was not practical for us to open company-owned centres all across the country. After a business partner signs up with us, we provide extensive training to both the business owner as well as the staff/coaches appointed before the centre is up and running. They are trained on the SportyBeans methodology and program. Even after the centre is operational, a senior member from our training team visits the centre once a month to download the curriculum, clear doubts and ensure that the centre is being run according to the standards laid down by SportyBeans. NG: What criteria do you follow for the selection of your franchise partners? KS: Our ideal franchise profile would be of young entrepreneurs who have the energy level to work with children and drive to pioneer a new concept. While we do not have a pre requisite educational qualification needed for the franchisee, we would want a certain level of both presentation skills and competence to be able to handle the business. NG: How much franchisee fee and royalty do you take from franchisee? KS: The franchise fee for a SportyBeans centre is Rs Two lakh and there is a 20 per cent royalty fee charged on gross revenues. NG: What kind of location is appropriate for opening SportyBeans centres? Do you help your franchisee in selecting the location? KS: Any location that is convenient for parents to drop and pick the child is apt for setting up a SportyBeans centre. We need a space of 1,200-1,500 sq. ft, which can be either indoors or outdoors but needs to be clear space (free of columns and pillars). We provide assistance to the franchisee in locating a suitable space if they are unable to find a space on their own. NG: At present, how many outlets (company-owned and franchised centres) do you have? What are your company’s expansion plans? Which cities are you targeting? KS: We currently have two company-owned centres in Pune and seven franchised centres in Mumbai, Hyderabad and Bengaluru. We plan on starting another five centres in this financial year. We are targeting a pan India expansion. NG: Where do you see your company’s growth five years down the line? KS: In five years, we plan to own between 200-250 centres all around India. NG: What is the success rate of child skill development in India? What future do you foresee for this industry in the times to come? KS: Child skill development, be it in sports, academics, music or other extracurricular activities is gaining increasing importance in India today. Children are being introduced to a variety of skills and it is being seen that they pick up the skills much faster at a younger age. There is tremendous potential in this industry in the years to come as every parent wish their child to be one up on the others and so every program that develops an additional skill in the child will be successful.